Are you looking for an award that is sure to catch everyone's eye? The Monumental Mitt Silver Achievement Trophy measures 15 inches tall and features a detailed mitt in a lustrous silver color attached to a black monument base! 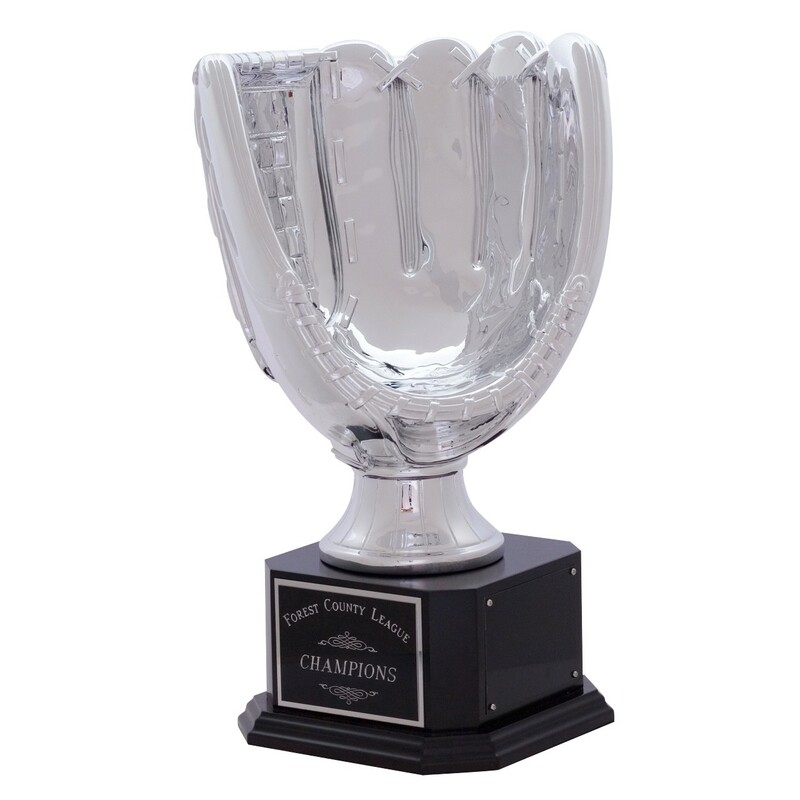 FREE silver engraving will be professionally etched on a black aluminum plate and affixed to the base.